You can watch the video to get an idea of how these are but let me tell you they are so much better in person! It collects solar energy all day to charge the battery inside, then turns on automatically at dusk. This light is waterproof, heatproof and durable, with solid hard plastic construction for withstanding years of sunshine, rain and snow. Use in your yard, pathways, pool, garden, patio, deck or beach. It's the perfect, easy and affordable way to add stunning, decorative lighting. Includes three sections that allow you to set lantern at either 16" high, 26" high or the tallest at 37.5" high. - Convenient on/off switch for non auto function. Recommended: Before the first use, please place the panel under the direct sunlight to charge for about 10 hours. I bought 7 of them and they look beautiful around the house, at the bottom of the stairs, on each side of the car port and in the garden. They are above my expectations and look so real ! I love them ! These lights are AWESOME!!!! In the desert Southwest I get a lot of sun. These lights last all night long and are a beautiful effect on the front of my house. They do not emit a lot of light, but the dancing light is beautiful! I have three of these on my patio and water feature. They really are beautiful and sort of mesmerizing. These lights are just what I wanted, But I took only one tube and put a wooden dowel on the end and put them up on my fence and now they look light torches from years ago like the ones they had hanging up in the old Castles All of my friends like what I did to them, I think that they will be buying some for there yard. I ordered 2 then 4 more and now another 4. They are amazing and do look like burning lights. I am now just looking for places to put them I love them so much! Pleasantly surprised. 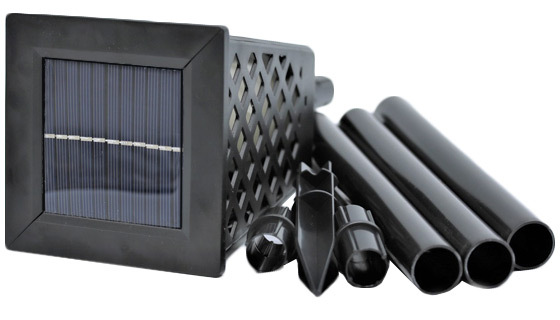 One of the few solar products that actually gives you more than 8 hours of illumination. These have been out all winter and are burning bright. These are so GREAT! These are the coolest solar lights I have ever purchased. They come on every evening and stay on all night. Love them! Great lighting feature; lasts for hours. My Daughter-in-law liked it so well I had to order two for her. Thru snow and rain it keeps charging up...and stays on all night. I am very happy with this torch. It lights up early, as soon as it starts getting dark, and stays on all night until it gets light. The design is a little plain but still very attractive. Time will tell how well it continues to work. I bought originality 6 LED Dancing Solar Flame Torch Lights and they are everything that they are advertised! So much so, I bought an additional 2 more. Where I live we had the most rainy February in the last 2 years, but even in the rain and overcast sky the torches still went on as dusk fell and lasted until 3 AM, I know because thats when I had to let my dog go out. They look so real that it reminded me of my childhood when we had kerosene tiki torches that smoked and smelled, but they did keep the bugs away. But if you want the look without polluting and having to buy kerosene, then get these Dancing Solar Flame Torch Lights! I have reviewed these before and given them 5 stars. I have now bought 10 more. They are very effective, but they come with 3 connecting plastic poles that are very flimsy and break easily. I bought 2 1/2 ft. - 3 ft. re-bar iron rods for each lantern, to insert through the center of the connecting poles. This has made them stronger, sturdier and they hold up much better. BUY the rods - youll glad that you did. Looks so real, even up close, that neighbors, and people walking by, look for the gas line to the touch...... I did NOT KNOW the battery is NOT REPLACEABLE, but at this price the torch is still a good buy. I first bought two of these lights to try. I now have 10 of them and my son has 12. My friend only have 4 so far, but I’m sure she’ll buy more. They’re great! These are great, and here in Wisconsin they are really Neat in the snow. The only downside is snow on the top glass that needs to be clean to charge. If no snow they are Still burning at 10:30 at night. I love these solar lamps so much I keep buying more, and now I have bought them as gifts as well. They are really beautiful and flicker like a candle but you dont need to keep refilling it with oil. I ordered 6 of these and they look good! The plastic poles that are included are fine for indoor use but I would use something a bit sturdier for outdoor use. Not confident that they would hold up in wet weather. Also, they must be manually turned on/off. They are good for events as opposed to leaving out as permanent lighting. So far,Ive bought 10 of these for myself and two each for some inlaws and everyone thinks they are great!They are the first ones on in the evening and the last ones to go off. And the price is great too. Bought four more. Several lights stay on til morning. Bought some for kids porch. This is better than a regular tiki torch. No fuss no muss. I get many compliments. WE have purchased a number of these in the past. We placed them on the opposite side of our pool. They burn beautifully after dark. We love them. We bought some extra in case any of the others should fail. We gave these a try to complete some permanent tiki decor for our rear yard and outdoor kitchen, and these lend just the right touch of ambiance to the whole scheme. These Solar Tiki Lights are going to stay a real highlight of our entertainment area for a long time to come! I have been a long time customer of Pulse. I have purchased many items and have never been disappointed. These Flame Torches have been the best purchase I have made to date The reduced price was an extra bonus. 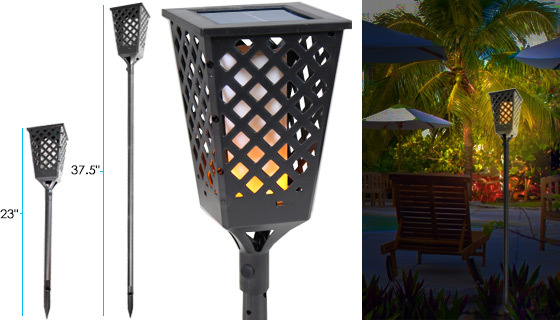 My husband and I have tried many different solar lighting products for our outdoor enjoyment. These work consistently, unlike other more expensive products we have tried, and the flames are so realistic they make me smile whenever I look at them. We just love these tiki torches, and so do our neighbors! Itâ€™s so cool to see the â€œflamesâ€ flickering away, even in pouring rain! The Solar Flame Lights are everything they were advertised to be. These dancing light torches are the talk of our neighbors at camp... they can be seen from a distance and stay lit a long time..all the neighbors have commented and want to know where we got them.. a definite buy. The flames look very realistic and last all night long when they are charged with enough sun. Love them, but the posts bend when they get warm from the sun. The plastic is not strong enough to stay straight and look ridiculous bending. We replaced them with PVC pipe but need to paint them. Great product can see from far out,the flame seems to be alive. These are a wonderful addition to my back yard landscaping. They do look like fire torches, and depending on sun, are very long lasting. The cells apparently are high quality, and keep charged overnight when the sun is of good quality for charging. They light up the whole area in which they are placed. Just like looking at a fireplace when I am on my back deck. I donâ€™t usually do reviews, but in this case, I will because we really like the Tiki torches. I purchased six, two as a test, then four more. All six worked right out of the box. They provide a bright, realistic tiki flame. They charge during the day, and provide light all night, at least till 5 am. 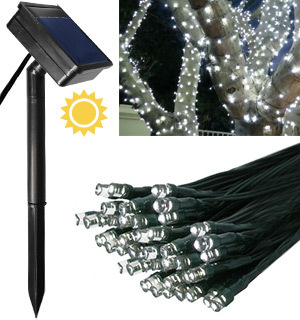 We have tried several different types of similar lights for backyard use. These are the brightest and most satisfactory. Assembly of the support pole is relatively easy. It comes in three sections, allowing a choice of three different heights. I canâ€™t speak for their longevity because Iâ€™ve only had them for a few days. But LEDs are pretty reliable, so I expect them to last quite a while. Best looking flame light I have seen. Very realistic looking. The only time it is off is when the sun rises. Stays on all night even following a cloudy day. One suggestion - the poles are rather flimsy. I solved that by sliding the pole over a rebar pounded in the ground. Works perfect. I have ordered several sets for friends and family. I have a small balcony with a couple of potted plants. I had purchased other solar lights also in two planters. The torch light is the first one to go on at dusk and the last one to go out in the morning. Incredible difference in these solar lamps. Highly recommend them. I bought six - one for my condo in Florida and the other five are for my patio in Chicago. WE LOVE IT!!! Put on the patio - and every evening it goes on and flickers - and when the sun comes up it goes out. Great purchase. A very beautiful dancing light...dusk til dawn. Not only does it work, this solar powered Tiki light is fantastic. My neighbours across the lake and around me, love the striking effect that it gives off. Does not ruin the night ambiance at all. I have a total of 15 of them and they work. Very neat item, friends saw mine flickering and really impressed, I ended up getting a bunch more to give out as gifts. One of the best things I have purchased at Pulse! The lights really do look like a flame from a distance! The only problem is that the poles/stakes are a little flimsy and bend easily. Care must be given when inserting them into the ground. Otherwise, a great product! They are awesome! So realistic that my neighbour almost called the fire department when she looked over and saw this torch of light coming from the side of our home and thought the place was on fire. Will be real pretty tucked between flower beds as they come with the ability to make them three different level sizes! I am pleased and will probably order more! The product is well worth the cost. Its made out of plastic but its sturdy enough and looks pretty real. I love these lights. They look great and everyone ask me where I got them. NO body else has them that I have seen any where. Only had them a week but they have been great and look so real. It was cloudy all day today and they are still realistically flickering! it can be a little startling until I remember they are solar. I purchased six of these solar powered torch lights. They stay on all night, I would recommend them to everyone..
Out of the box and set up in minutes, dancing at dusk and all night long. Wonderful addition for the landscaping. Wife truly loves them!! Says they look like real TeKee torches!! Momma happy, daddy happy!! These torch lights are so realistic! The light dances like real flames. I originally bought 2, but then bought 2 more because they’re so nice. I have arranged them at different heights, making a lovely display year round. Super happy with these flame torch lights, bought 12 originally, then 12 more, then another 12! At night, they look exactly like tiki torch flames!! I bought one of these and I just love it! When it was new I left it off for 2 days and charged it in the weak December sunshine. It charges itself even in cloudy weather in the Pacific Northwest and stays lit for several hours at night even though it is almost winter. I really love the way it looks! I am looking forward to having more of these. this light looks like a real torch, unless you get really close, we are satisfied with it. When I bought them, I put one on each side of our driveway so that we could see where to turn in when it was dark. My husband thought they looked tacky. However, that very first night I got a call from my neighbor who lives beside our garden lot across the street. WHERE DID YOU GET THOSE LIGHTS? THEY ARE GORGEOUS!! Other neighbors said the same thing. After seeing them in action and being told how great they looked, I ordered a set for every family member on my Christmas list. My brothers who live in different states received them early and LOVE them!!! One puts his set on his mantle in his living room and sets them in a sunny window to charge them during the day. Have there all over the yard! Beautiful flickering flame all night. Even got some for my house in Mexico. Neighbors are envious! Extremely Attractive Torch Light that does a great job sundown to sunup very reliably. Easy to put together. I have purchased quite a few of this item. They last for a couple of months and then go away. Wish they would last longer when outdoors for an extended period of time. Excellent product. Really works great! Even the cranky neighbor likes it! Had credit coming from previous purchase. Item arrived in a timely manner and all is well. Very easy to work with Pulse and terrific buys! This is my third order of these gorgeous lights. Most of them are for my garden and back yard but some of them have been gifts. 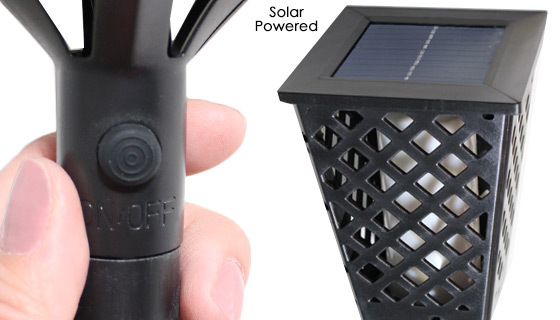 As other reviewers have stated, this is by far the COOLEST solar light EVER! It is SO realistic I too had my neighbors knocking on my door in the middle of the night telling me my torches were still lit and we live on the beach! Ha! Just bought a bunch more. Awesome product! I had bought two lights in the summer liked them so I bought two more, they look so nice in my backyard. I highly recommend. 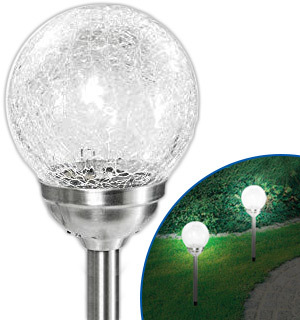 I bought 4 of them, they look and work great at night, I have them in the back yard and had many nice comments from my friends. These flame touch lights are excellent. Theirs a company on TV selling the same technology with candles but they want $50 for each. This deal with pulse is great!!!! Love, Love, Love this product. In the summer it last all night until next morning, I am sure it will be less in winter due to less sunlight. It will be interesting to see how long this product will last. Flame looks real and cant wait for another super sale do I can buy 10 more!!!! They add ambiance to our back yard. The quality of these Dancing Solar Flame Torch Light is much better than I expected. After a long day of sunlight these lights flicker all night long. The attached pole that goes into the ground is not of good quality but is functional just be carefull pushing into the ground. I will be purchasing two more for the RV. We absolutely love these lights!!! Even my neighbors bought them! They reflect on the lake beautifully. We have 14 of these lights. Front and back of house. The light produced by the torch really looks like fire, it is beautiful and really gives a nice warm glow to your back yard. There is an on/off button if you dont want to leave it going all night. The sun powers it perfectly and the light will last well into the morning if you do not turn it off. We loved the look so much we bought more. I installed these at the entrance of my driveway, and they ate perfect. The light is beautiful, and they last through the night. My neighbor saw my flickering LED lights and loved them so much I ordered more for her.!! Friend from the UK liked mine so much I bought her a set 2 and shipped to the UK. Shes waiting for the spring summer weather before putting in her garden. Love these things. These are great, I started out with two and ordered 2 more. After looking at my yard, I think I will order two more! They flicker just like the real thing. Flames dancing in the wind, even on a hot night! They really stand out in the yard. I love them!!! I love these! They look so realistic. If you didnt know any better, you would think it was a real flame. I love these lights. On the first night I used one my neighbors kept calling to see if I had a fire on my porch. Dancing slot lights are as advertised and I love the way enhance my garden. Extremely effective and life-like. Neighbors comment on how beautiful they make our patio look. Cannot find a better value for the money. Great job Pulse Buyers! I presided over procurement in my career and understand how rare a find this is. Kudos! I cant stop buying them! I absolutely LOVE these torches. I cant stop buying them! I havent even put them all out...I just want more in case I can think of more places to put them! LOL Seriously, theres no work involved, they collect light all day long, and give a very realistic flame light all night long. Sometimes, I wake up for work in the morning and theyre still going! I cant recommend these highly enough. Thank you, Anisa & Zach! Love these lights, love your customer service. These lights are outstanding. Do not confuse them with the cheaper ones for $9.99. These light are brighter and stay on longer than the cheaper ones. I stuck my two into the middle of two small rod iron tables. Really makes my patio special. Absolutely love these torches! Initially bought 4 and then had to buy 4 more! They are great! Have them in our long backyard among the roses,spaced evenly- they come on every PM around 6:30.& stay lit until dawn,iIn fact, going to buy more for side yard.They dance & look great! These lights are amazing. Ive seen other torch lights but these are by far the best Ive seen. I bought two and put them on the deck of the pool. I love them, they look so realistic. I just ordered two more. You have to see them in person to appreciate them. THESE THINGS ARE GREAT, THEY LOOK LIKE REAL FIRE. ALL MY NEIGHBORS ASKED ME WHERE I BOUGHT THEM. I NEVER WRITE REVIEWS. THIS IS A GOOD PRODUCT FOR HOW CHEAP THEY ARE. Love these. They really look like flames. Very bright and eye catching. Bought 8 the first time and then bought 8 more! You can almost hear the Hawaiian drums beating in our yard! We love these and so we bought some for our sons family! They look so real and have become my favorite solar outdoor lights. I have received many compliments. These are great. My husband was very impressed and it takes a lot to impress him. They last all night and REALLY look like fire! I am going to buy more as gifts! Beautiful glow. Dances all night long, Only off during daylight hours. Very relaxing. The flickering light part of the lamp is really nice but the part that goes into the ground to stand it up is very flimsy and bows over. We had to secure it with a small metal bar to keep it standing straight up. These are great! They really give atmosphere to our pool parties. Our friends even asked about ordering them from PulseTV as well. Item installed on gate posts, look great. Have to wait and see how long they last. I liked these so much I have bought 8 of them. I even bought four for my two daughters to use in their yards. The only negative is the poles holding them up are flimsy but I have attached them with brackets to my fence. Ordered 2 for our backyard and we love how they look, during the day too! Liked them so much that ordered another pair for a gift. They told me they love them! They have theirs on the lowest setting, which looks perfect by some stone steps. Ours are at the tallest setting and look great where we placed them. I loved these so much I ordered an additional set just to have on hand when the 1st pair go out. Very nice. New, innovative and has everyone saying, wow, those are really cool! They work great. I originally purchased 8 of these and liked them so much, I ordered 16 more! They are of great quality and create a really nice effect to my back yard. People compliment me all the time on how realistic they are. I would highly recommend them to anyone on the fence about buying them. They go all night and look fantastic! One of the best purchases I have made this summer! Fabulous addition to my patio. Just watching it is mesmerizing. We have ordered 6 already! 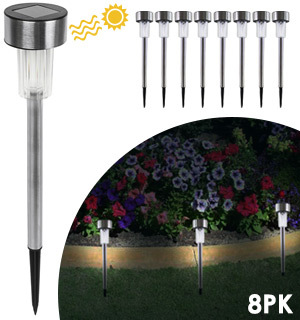 These dancing solar flame torch lights are one of the best purchases we have ever made from PulseTV! We have received soooo many compliments on them and have already bought six. Our only concern is that you have to be careful when inserting the poles into the ground as they are made of plastic and are a little flimsy and can break. We have had them off of our front porch, on the walkway, for about a month. They have withstood rain, wind, and heat. We were looking to replace our old tiki torches with a safer less hassle option as we live on a hill and at times it is windy. Short of running expensive gas lines these have been the perfect solution. Now we get to enjoy the tikis every night with no mess and we are super happy with the way they look! We first ordered a couple because we were skeptical and thought at very least we could stick them in the ground somewhere if they werent great but we were pleasantly surprised! Save yourself the pain of waiting for the second shipment and get what you need. Love the product and the price! Wish I could post video to show how good they look! Ordered more of the dancing torch lights but 1 of them was damaged when they arrived. sent customer service a note and they took care of the problem immediately and sent me a replacement. I have two dancing lights on the front of my gazebo that stays on way into the wee hours of the night. They add charm to the area and I get many compliments on the lights. Iâ€™d give them 6 stars â­ï¸ ! These flicker all night and give us great ambient light by our pool. I wish they had one more section to make them taller. We have many solar lights in our yard. These torch lights are, by far, the best! They charge all day, they stay on all night and look alive to say the least. I bought two at the start and ordered another two after I saw them. We got two and liked them so much we got four more! This is my 3rd purchase of these and they look great. I have four on the vinyl fence posts of the vinyl picket fence in front of my house and one on each side of my porch steps. Im really impressed with these torch flame tiki lanterns! They have a very good solar charging system! They have charged fully every day, even on the cloudy days we have been getting. They stay bright until the light hits them in the morning when they turn off. At night the torch flame movement is visable across the park from my yard which is over a block away. I highly recomend them! I originally ordered 2 lites and after seeing how well they work, ordered 2 more. Have had several compliments and questions as to where I got them. THESE LOOK GORGEOUS AND WORK GREAT! We took them camping, when they first arrived and what a nice glow they gave to our campsite. Now we have the 4 that we purchased along the fence in our back yard and they look fantastic every night. Now I am trying to decide how many more to purchase to place in other parts of our yard. I highly recommend this product! I really like these flame lights! They light up every night and last well in to the early morning hours. They are very soothing to watch. Would definitely recommend!! I really love these lamps, they look so realistic with the dancing flames. However,the poles are a short and made of weak plastic. I bought some longer conduit pipe of the same diameter size, painted them black and they work great. the lights are fantastic and make quite the statement!!!! Great product! Adds nice ambience to my garden and looks so realistic. I wish the lights would go on and off automatically like other solar lights in my yard. You have to push an on and off button. Great addition to my deck decor! After seeing the video of these, I ordered three for my deck. I absolutely love them! Mine have been operating for about a month, lighting from dusk to dawn with zero maintenance, rain or clear weather. They will be there all summer for my viewing enjoyment. Make great gifts, and I recommend highly. I live in rural Upstate NY, not to be confused with the City. This is my first time rating anything. I bought one of these and liked it so much I bought 7 more!!! I wanted them higher around my pool screen went to home D and bought 10 foot sections of PVC pipe, cut them in half and adapted light and stake to fit a little filing Now they are more sturdy and at the height I want I also painted white pipe flat black and installed a clamp about 4 feet high and attached to pool screen. THEY LOOK GREAT!!! Excellent product. Very nice and decorative appearance. Great performance and adds a very unique glow to my walkway. Highly recommend for any outdoor area where a torch type light would be appropriate! Really is what they say it is! They look so good at night around my pool so I ordered 6 more. I wish the poles were a little more sturdy but weâ€™ll see how they do in windy weather. I love them. I bought 2 of these. After having them for 2 weeks, I ordered 3 more and have shown them to all my family. I bought 2 for a gift for my moms garden. you cant miss with these. I just love these; really pretty. Even my brother likes them and asked me to order 2 more! These are the coolest things. They look so real, my husband calls it Survivor. Only have had them for awhile, so still want to see how they hold up over time. Really love them though. Theyre awesome! I was a bit skeptical at first, but the first night made me a believer. I put two of these by our rock fountain and the effect was great. They last the whole night through. Only gave a four because at the extended height has a bend to it. Cannot make it really straight. I can mask it, but not hide it. the light is very pretty but the poles that were sent to hold the lights are very flimsy and barely hold the lights up. suggest thicker poles. i was not able to use the poles i had to attach the lights to a fence. 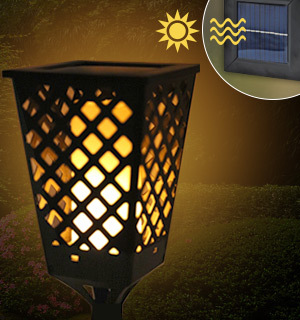 I have tried a few different solar LED flickering lanterns. These Dancing Solar Flame Torch Lights have the nicest, most realistic flame effect of any others. Make sure to glue the stake pieces together before inserting into ground. I bought these for my daughter and we loved them so much I bought her 4 more. They are beautiful in her yard. This is a very bright and real looking flame that last all night long. I love these and so does everyone that comes to our house. they are beautiful and look like real fire. Love the solar torch. It makes the backyard look really festive. these are just beautiful, everyone that has been here and seen them want to get some. they are so relaxing to sit by at night. they look so real. These torches were much better than expected. The light lasts for some time. The large solar panel at the top insures a good charge to the battery and I only have partial sun where I have them placed. I have gotten several compliments about them. Work good, are pretty. Only downside is that the plastic stakes will be bending as a result of the extreme heat which we live in. 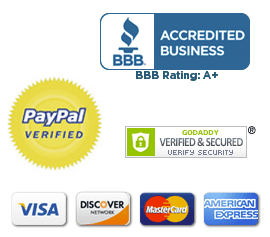 But, considering the cost they are great and I can especially recommend them for more moderate climates. Great value, very pleased with effect in my garden. Bought 3 more after original 2 and they look so beautiful. We love these lights. They definitely add to the ambiance of the yard. My only concern is the extended poles if you use them. They dont always stand straight. Ordered four lights and two hold great while the other two sort of lean. Had to stabilize them with stones which is fine. They are beautiful and from a distance, they truly look like flames! The lights automatically go on around 8:30 p.m. and shut off at 5:30 a.m. We have received many compliments on them and ordered more already. Great price, look great and Pulse TV ships super fast! Very happy. Adds a touch of pazazz to front landscaping definitely recommend. Love the effect; however, one of the torches came crooked but still has the same effect. These are so gorgeous at night that I ordered more for my sons and additional for my yard. They actually look like flame. Love this light, works perfect and is as advertised. 1st, Iâ€™d like to say that the light is great, It looks realistic and last a long time. Now, as for the plastic poles, they are horrible, they canâ€™t hold themselves up, not strong at all, falls over. I even tried taping it up to make it stronger, no go. They should have used metal poles. Buy cheap, get cheap.. AWESOME torches - gotta see to beleive! i was skeptical about these led torches, but i have been TOTALLY IMPRESSED with these lights! Whether your up close or far away - they are TOTALLY real looking and absolutely impressive! My only regret is only buying 4 of them. They are a bit pricy - but they are fantastic! I love them so much i want more! These are very cute, & so far they are working well. My problem with them, is that they will not stand up straight if you use more than one of the extension rods. I wanted them to be tall, but they donâ€™t look nice when they are leaning over. However, for the price, I think they are a good value. I looked at these lights for a long time and when we returned from our trip, we decided that we would take a chance and get them. We were pleasantly surprised when we received them. Easy to install and took very little time to charge. They look very classy and NO ONE has anything like them in our Arizona neighborhood. We would a 100% recommend this product. We bought 12 and have them in the front and back of our house. Absolutely perfect for our decor and classy looking not cheap. Really like the effect. Looks real. Love these lights!!! I have placed two at the cemetery for our grandson and my parents and they stay lit all night. I have purchased several to place around our house. We love them. After a few weeks with one, we ordered 4 more. looks good, working find. plan to buy some more. Love the solar torch! Looks so real and we donâ€™t have to refill oil or be concerned about an open flame. Just go to bed and leave the torch flickering! This light is very attractive and puts out lots of light. Very happy and would recommend. My flickering are so pretty, I highly recommend to everyone. I just purchased these lights for my pool area and they are great. Highly recommend them. My headline says it all: This is by far the best thing I have purchased from this company...and I have bought a lot. I *love* these little torches. And when my friends see them, they love them...and then I go back and buy them as gifts. So, its probably not in my best interest to leave such a glowing review, because YOULL buy them and theyll be sold out when I come back for more again...but Im being honest. These are fantastic. Zach and Anita were right. Totally worth it. Love these lights, and only reason I didnt rate a 5 is the pole system. I found them too flimsy, and the lights would lean one way or another. Mine are in bright sunlit area, and I think due to the thickness of the poles, they tend to get soft and lean. I fixed that by buying a 10 foot piece of heavy PVC pipe and cut it into lengths I needed, cut it to the exact size I wanted, as to not have to use their transition pieces another weak point. Now all good ! They work great. Even a cloudy day will charge them enough to work from dusk to dawn. Liked them so much I bought two more for a friend. The torch lights have the same appeal as a real flame, without the danger. These lights are really amazing. They look so neat when they come on. I wish there was one in metal, but it looks good. I mounted using a 3/4 floor flange metal from plumbing supply, which I painted black. The riser fits in it, and it can be mounted on a post. The light looks very good at night and is decent during the day. I have considered spraying it with the hammered metal black paint to make it look more authentic. I purchased these because of the positive reviews and Im so glad I did. The flame looks so real. I bought 2 and already gave one away. Then ordered 2 more for gifts. Recommended them to a friend and she ordered 2 also. Hope they dont run out in case I want more. I looked these up on line and the price was $19.99 each! Very happy with this purchase. I couldnt be more pleased with my purchase. It is better that I expected, in fact,I purchased another one. Love these. Had friends over right after getting them put in the backyard. They are a hit. Everyone wanted to know where I got them and I know for sure one of them has ordered four. Very easy to assemble or adjust height. So far so good regarding strength. Does look like flames. It appears to have all the energy to last all night as advertised. I would advise anyone who wants a couple to only use one extension as more makes the entire assembly a little wabbly. The best solar light I have ever bought!!!! Love these realistic torch lights! I got these for my front and back yard to add warm and subtle lighting. I liked that they were solar powered, but was not sure about how the lighting would be from my other experience with solar outdoor lighting. But when I received them and set them up, I was pleasantly surprised. Super easy setup too. The light looks like a real flame...its exactly what I wanted. so far we are very happy with this, ended up buying 2. So far they have worked great even thru rain storms. i bought one, got it charged up. we loved it! we bought two more, and ended up buying another two. so we have three in use, and two saved for? later use, gifts? undecided, we just know they are well worth the money spent. Love it. Giving to friends and they really like it. I have 2 running and they run all night long. I smile every time I look at it. These are delightful. Enjoy them each eve & Morning. Have 6 of them set up in my yard and they are just gorgeous at night. Also look good during daylight but much more effective at night. My girlfriend liked them so well she also bought 4. I bought 2 of these and they were so cool that I bought 4 more. They are the first ones of many others I have to come on in the evening and the last ones to off in the morning.Considering replacing some more of the older ones that I have pretty soon. These torch lights are so dazzling , they brighten up my screened lanai every night . I swear Im in Hawaii or Fiji . They are definitely worth the money . These Are Very Cool Lights! I put four of these lanterns along our front entrance area, and we have had many compliments about them as they are so unusual looking because of the way they flicker. These are really cool looking walkway lights. These are great!!!!!!!!!!!!!!! !...Love the Flames!!!!!!!!!! Great looking flame like lights. Only problem is the stakes holding them up. They are so thin that they bend in the hot sun/ temperature. I bought 4ft. pieces of black metal rods, and now they stand up nicely, and look better than original. The Dancing Solar Torch Light are outstanding. While I have only had them for a few weeks I am really pleased with how they have worked to this point. They light at dawn and stay on until the sun comes up. They really look great in any setting and everyone who has seen them love them because they look so real. The poles are really not as strong as I had thought but I zip tied a poles behind each of them to keep them straight and it works great. Hopefully they will continue to work for years to come. 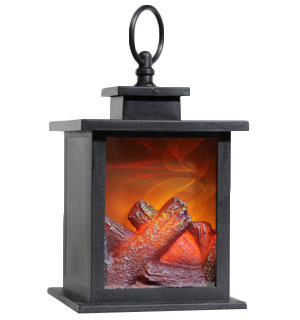 Looks like a real gas flame, lasts all night and have receives many good complements. Dont know how it works, but it is mesmerizing! These torches look great our by our patio. It is so nice to not have to worry about filling or plugging in - and there is no extra cost! The pole was pretty flimsy, but it works fine with a small metal pipe added inside the factory pole. This light is really great. Looks exactly like a real flame. It burns brightly all night long, and I have seen it still running at 7:00 AM, just before daylight shuts it off. AWESOME. These torch lights are so very cool. They actually look like flaming fire. My husband liked them so much we ordered 6 to line our walkway and bought 3 more to take with us to use around our Motorhome when we are on Outings. Highly recommend. They look almost real. Love them. We have been looking for a save affordable solution to adding the Tiki Torch look to our backyard for parties and this fit the bill perfectly. They look good and are low maintenance. It adds nice ambiance. I absolutely love these. And even with early Spring sunlight, they will glow all night. They turn on at dusk & off just before sun rises & their very bright. One of the poles was a little wobbly and cracked at one connection, we cut it down so its a little shorter, other then weak pole connections we love the torch lights. We purchased two to place near our pool. They are amazing to look at after dark. We liked so much we purchased a set for our Son, Daughter and two more for our use. Its amazing how long they burn at night. So authentic looking, as seen from a distance, that I have neighbors walking up the walk to view the torches. The mounting poles are not the best but a quick replacement with 1 inch PVC pipe from a hardware store corrected the problem. They really look great. My neighbors have said they like them also. Love these torch lights. They look very realistic and stay lit all night. I would have given them five stars but the poles they attach to arent nearly sturdy enough. I bought 2 of these for the front of the house. They are beautiful and look like a real flame. Really nice stays bright would buy again. I wasnt really sure what to expect when I set them up, I bought 4. Set them up around our hot tub. When the lights came on that evening I was amazed. Wowed my wife, daughter and granddaughter[4years old]. She called them Fire Lites! My daughter wants some for her apt. deck railing. We are really enjoying our tiki light that we placed in the back yard. We can see it flickering all night and it has been lots of fun to have. We may order a couple more for the front yard. The solar torch light is great but the plastic pole assembly is too light weight to hold the torch light. The led technology continues to change the lighting world. I was initially doubtful, but his torch is remarkable! A bright, dancing, realistic light, that charged up even on a cloudy day. Works just as described. These lights look like there is actually fire inside. These are bright and flickering, from a distance they look realistic. If they were metal, they would be fantastic. We will probably get more for other locations in our yard because they are fun to see. This is a fabulous light for the back yard. It is bright and kind of pulses. What a great find. Like others, I agree that the stakes are not the best, BUT, the flame is gorgeous and absolutely life-like. What I did instead of the stakes was to nestle the main component into a large plant in a pot and then let it light up there. Its beautiful and Im thoroughly happy I bought 2. I love these tiki torches. So much, that I ordered more. Theres something about that warm looking modulating glow that is very soothing. I would order more if I had the room. Please check these out....its worth it. Buy more than one and get a discount. I did !! attractive addition to your garden. Good value. Very impressed that they stay lit all night. Most Solar products only stay lit for a few hours at night. Very effective on my Patio. Solar Flame Torch looks great at night. I picked up 4 Solar torches all of them look like a real flame. My neighbor even told me how good they look.I did replace the plastic ground stake with a larger metal ground stake with a screw in it to support the pole better. When the wind blew the poles kept falling down. It looks so real, I had a jogger stop and ring my door bell to let me know my yard light was on fire! I love looking outside and seeing the Torch Light dancing around. The lights are really nice and do look like flames. The poles that hold the lights are junk. They are thin plastic that bends and breaks with the sun and wind. The would be perfect if not for the cheap poles. I am having difficulty finding replacement sturdy poles. The tourch lights presented a beautiful environment and the image of the dancing flame was so life-like. Had some problems with the first one I received. Customer service was excellent and corrected the problem immediately! The second one has worked great. The flame is so realistic! I was so impressed that I put it out on the snow!! WOW- looks like a real flame!! Could not believe that it was still working in the morning before the sun came up, all night long, never had a solar light do that!! Had it up for a few weeks now and really enjoy the illusion of actual flames, my wife wanted to know if it ran on kerosene and how she should refill it, so far so good, will see how the solar panel lasts but for right now very happy with the purchase. The lights are awesome! The poles holding them up leave a little to be desired. When I used all the extension poles to extend the light to the highest position, the weight of the light caused the poles to bend. A piece of metal pipe drove into the ground fixed the problem. The solar lanterns flame effect is a bit artificial, but looks good from a distance, tucked back in the shrubbery. We enjoy having it outside when were sipping wine on the patio. WOW! pictures dont do justice, they are absolutely gorgeous! that is why I bought another pair. Only complaint if it is wish the rods were a little sturdier, and maybe another link or two higher. I had my doubts about these, they are really slick they work, and was more impressed than expected. Wow it really looks like a lit torch! It stays lit all night too! I love it and will order more! These torches give a very realistic flame effect!!! They last from sundown to sunrise!!! The reason they did not get five stars is I wish they were taller and the fact that the batteries are not replaceable!!! Hope they last more then 1 season/year!!! This light is so real like that it shocked me the first night I put it out. I thought my fence was on fire because we had a bad storm. I got two and placed them on each side of the beginning of the driveway. They brighten up the area at night. I love them and they last until dawn. Better than I ever imagined!! Have 8 of them in my back yard in a raised flower bed and have people that walk by stop and ask where I got them. They are very attractive and look like real flames. ....they are mesmerizing. Very pleased with the purchase. Can hardly wait for spring to come so that I can put them out. The only drawback is there is no way to replace the battery when it dies...other than that, they are very pleasing. THIS LIGHT WAS ORDERED TO REPRESENT AN EVENING REMINDER OF OUR BELOVED DOG WHO RECENTLY PASSED AWAY. IT IS GOOD QUALITY & STAYS ON ALL NIGHT. Yes, the flame looks great and real; solar charges quickly, too. I have one with just the lamp top nestled into a large patio planter full of plants and its gorgeous. You wont be sorry if you purchase this. Tip: If you plan on putting it into the ground on its stakes, put the very bottom one in FIRST and as low as it will go before you connect the next sections, otherwise the pressure from pushing the entire pole will split the bottom. I love it, I bought 2 for my patio. I love the way they look like real flickering flames, battery runs very long hours. My only complaint is the attaching poles are too flimsy need to be stiffer. These dancing flame tiki torches are fabulous. They make a warm glow out on my deck that is visible from inside of the house. I liked them so much I ordered more of them. Easy to install. The light stays on all night. I will order 4 more when I returned from vacation. These torches are as beautiful as they are reliable! I was skeptical about the amount of light produced by these torches, but they emit beautiful and ambient lighting in my flower garden. They come on like clockwork and they really do flicker until the wee hours of the morning like 1 or 2am. I have already ordered more for my backyard! The appearance of dancing flames in the torches was realistic enough for our neighbor to be concerned that we had an unintentional fire in our front yard.